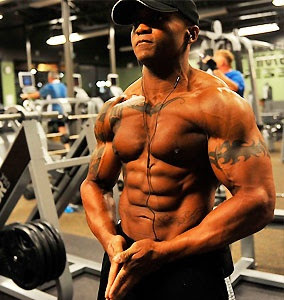 Shoulder workout is most important for every bodybuilder because of shoulder shape of your body looks amazing specially when you wear T-Shirt, as I always say workout is not an easy thing to do, you have to work hard and show your dedication. First when you enter in a gym you must do warm-up for start your workout because it does reduce the chances of injuries. If you want to increase your shoulder then follow these workouts step by step it will definitely help you. 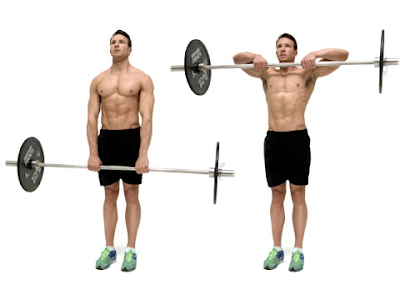 Barbell shoulder press is the first one, this exercise does create lots of tension in your shoulder which is very good. Barbell shoulder press back is a very important exercise because it does also effects on your traps, I also did this exercise and it really works fine. Dumbbell overhead press is another recommended exercise for shoulder workout, the benefit of this exercise is when you lift dumbbells it does create lots of tensions in your both hand and because of that you can do this exercise in proper way. Dumbbell lateral raise is the best and most important exercise for making your shoulder amazing, this exercise is the fourth one. Barbell upright row is the final exercise for shoulder workout, this exercise specially for traps because traps is major part of shoulder. If you really want to gain your shoulder then try hard and you will definitely see results, because no pain no gain. All these exercises are for beginners who want to gain their shoulder fast, and yet as I always say that diet is the more important than your workout, here are recommended Diet Plans for beginners.If you guys have any questions or comments so do not hesitate just do it I will definitely try to help you and give you proper solution.